1. Do I have to take the 4 hour course and the permit test even though I am over 18 years old? Yes. Even if you are over the age of 18 you still have to take the 4 hour course and the permit test. You do not have to get the learners permit, but you do have to take the test. 2. If I am over 18 years old, can I take the permit test online? Unfortunately, you cannot. If you are over the age of 18 you have to go to the DMV in person and take the permit test there. The test will be approximately $10.00 to take and we can reimburse for that cost as long as you save the receipt. 3. Can I take driving lessons without a permit? No. In order for you to take driving lessons, you need to have a permit in hand. The driving schools will not provide you any lessons unless you show them your permit every time you have a scheduled lesson. 4. Do I have to wait until I am 18 years old to get my license. No. You do not have to wait until you are 18 years old to get your license. If you have a permit in hand and you have had it for more than 12 months you are eligible to take the road test and get your license. 5. Does K2I pay directly for my learners permit at the DMV or do they have a code for me to use at the DMV to pay for it? The program does not pay for the learners permit fee directly to the DMV and no code is provided to pay, however whomever pays can get reimbursed by us as long as they send us the reimbursement form, the receipt and a clear picture of the permit for the file. 6. Does K2I pay for any outstanding tickets that I have? No. The Keys Program does not pay for any outstanding tickets you may have or any future tickets you may obtain. 7. Does K2I pay for tag and title when I purchase a vehicle? No. The Keys Program does not pay for tag and title fees. 8. If I lose my learners permit, does K2I reimburse for my permit replacement. Yes. Keys to Independence will reimburse you for a learners permit replacement. Make sure to send K2I the reimbursement form, the receipt and the copy of the new permit. 9. Does K2I pay for the reinstatement of my learners permit or driver’s license? No. Keys to Independence will not pay or reimburse for the reinstatement fees of a permit or a license. 10. When taking the permit test online, do I need to enter a valid driver’s license number? Yes. In order for the permit test to open an adult over 21 years old with the youth, has to enter a valid driver’s license number. The DMV uses the license number as a proctor and nothing else. 1. Who qualifies for the K2I Program? 2. What does being in “out of home care” mean? 3. Do youth in DJJ qualify for the program? If the youth meets the qualifications above, they will be accepted into the program even though they are in DJJ. It’s up to the DJJ program to let the youth participate in K2I and take the courses within their facility. 4. What happens in the event the youth moves to a different placement? Anytime a youth moves placements K2I must be contacted that way the youths file can be updated with the most current information. K2I requests the youth’s new address, name of caregiver, caregivers email, caregiver’s number and youths contact number if available. 5. Once a youth is enrolled in the program, is there a timeframe in which the youth has to obtain their license? K2I does not impose specific time limits on enrolled youth. However, because funds are limited and must be expended on a first come, first serve basis, we recommend that youth move through the process at the normal pace allotted for each step. 6. Will a caregiver be charged more on their insurance policy if they have a youth with a learner’s permit in their home? No. The Florida Statutes 627.746 prohibit insurers from charging caregivers more for their car insurance for a youth who has a learner’s permit. Once the youth gets a driver’s license, the insurance agency can/will charge the policy holder for having another person with a license in their home. 7. Will a caregiver, case manager or an authorized representative of a residential group home signs the youth’s application for a learner’s permit assume any obligation or be liable for any damages? No. Although DMV personnel at your local office may say that the adult co-signer assumes responsibility for the negligence of the youth, Florida Statutes 322.094(4) exempts foster parents/caregivers of a minor, an authorized representative of a residential group home at which the minor resides or the caseworker at the agency from assuming any obligation or liability for any damages by signing the application. 8. Will K2I cover the expense of a caregiver’s policy if the policy exceeds the statutory minimum required to obtain a driver’s license? Keys to Independence is able to reimburse for the cost of insurance that is required for the youth under the caregiver’s basic auto insurance plan. The Keys Program cannot cover the cost of a policy that provides a higher level of protection to a caregiver including an umbrella policy or for a specific automobile primarily driven by the youth. 9. Can a youth obtain their own policy and what kind of policy? Yes. The youth can obtain their own car insurance policy. 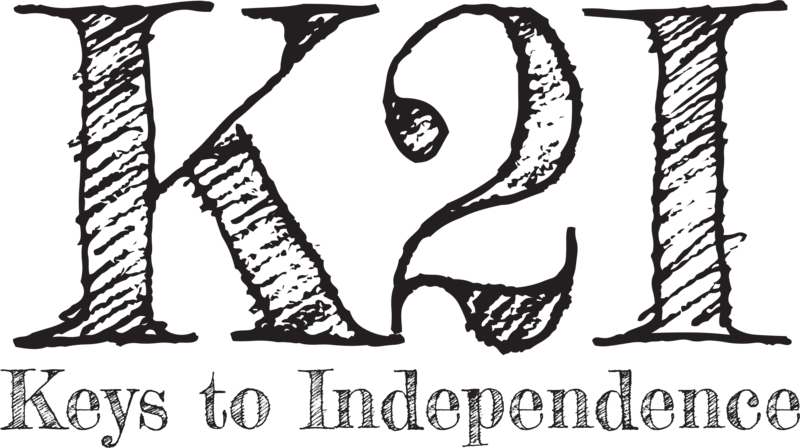 The K2I program requires that the youth obtains the state minimum required, also known as liability and no uninsured motorists.